You can’t grow cannabis at home in Manitoba. Growing non-medical cannabis at home is prohibited in Manitoba. 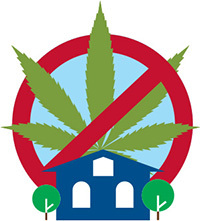 While the federal government has introduced a partial prohibition by placing restrictions on home cultivation, the provincial government has the authority to set restrictive conditions on home growth. Quebec, Nunavut and Manitoba have chosen to set the limit at zero, effectively prohibiting cultivation of non-medical cannabis in the home. This approach is supported by public health and safety considerations.